A fun, flowy off-road trail that will fulfill your urge to ride! 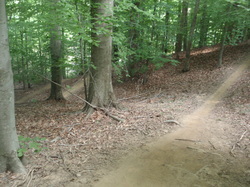 Machine made trail system on the grounds of the old Lorton Prison. They opened it up as a multi-use trail. Not too advanced, some sections are more difficult than others, all of it is fun! Want to ride some killer singletrack? Head to Lorton! Excellent bike riding spot! One of my favorites! 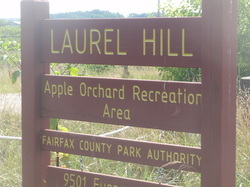 An advanced OFF-ROAD trail in Fairfax County. Fast, fun, challenging and sometimes brutal. This is one of the best trails around! They've done a TON of trail work, made alot of improvements and the trails are AWESOME! They've got it all in those woods - fast rolling trails, big berms, rock gardens, tretorous climbs, fast downhills, bridges, 'skinnys', jumps, drop-offs, logs, infinite roots - and also smooth, beautiful single-track! Be safe, bring water, wear a helmet. Right off of US rt.29 before Gainesville - 444 acres of trails! Mostly smooth singletrack, riding through the beautiful forest with some rock gardens, log crossings, lots of roots and a few creeks. 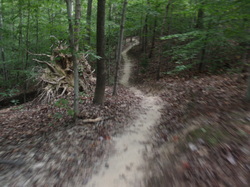 The back section - the orange trail, is the most technical with up and downhills and LOTS of rocks! That section can be by-passed if you didn't want to take the challenge. Very fun, scenic, maintained trails. Great for hiking too! Not very long but you could ride loops and there are a few 'out and backs'. I'd say it's good for beginners and up! In Fairfax county, right over the bridge from Woodbridge, off of Rt. 1 & Gunston Rd. It is a super fun mtn. bike trail! Still in the making, for more info and map- please click the link below. We love riding here! Check it out!